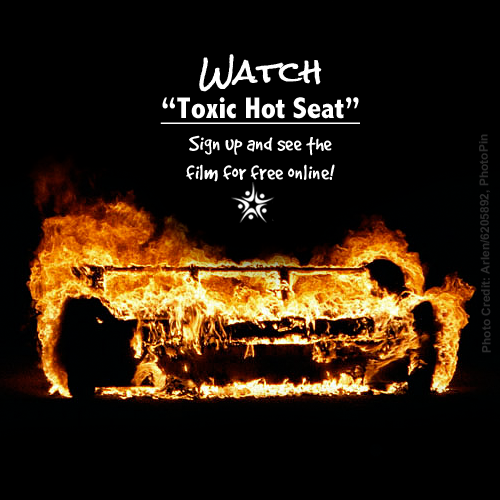 If you haven’t seen the documentary Toxic Hot Seat yet, you (probably) don’t know what you’re missing! If you read the Chicago Tribune’s award winning series “Playing With Fire” a couple of years ago, then you do have an idea of what the film is about, but it is still very worth watching. We all need to understand the implications of what is discussed in this film. It affects each and every one of us. ‘Safer Chemicals Healthy Families‘ are streaming the film for free until December 7, 2014. Check out their website for all kinds of great info and actions you can take! Sign up here to receive the link to watch the film.